Fontes Foundation supports a partnership between the Katunguru Primary School, Western Uganda, and the Montessori Primary School in Oslo, Norway. 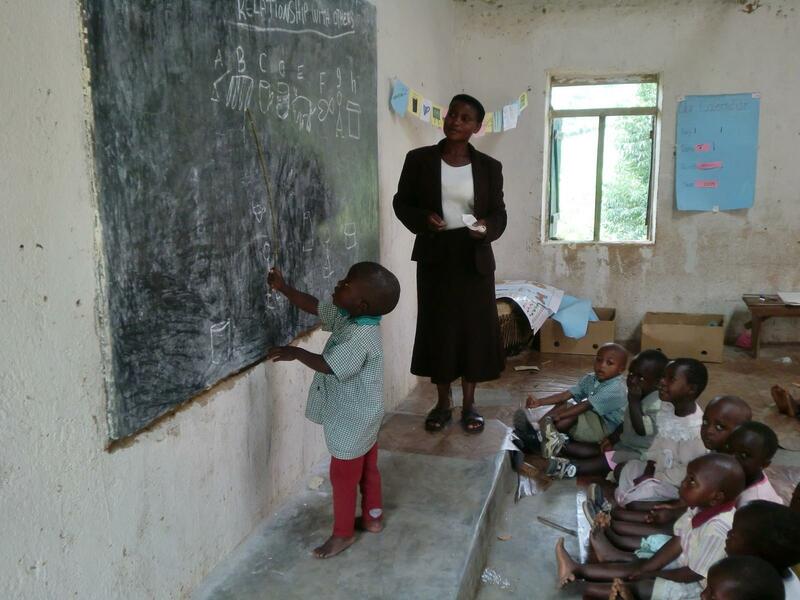 Fontes Foundation also established three Nursery Schools in Kanungu District. Katunguru has a small primary school, isolated from the bigger town and with a very limited attendance, something that puts it on the bottom of the local government’s priority and leaves the establishment in very poor condition. To improve the situation, in 2005 Barbara Koestler launched a collection campaign at the Montessori School in Oslo, filling up a suitcase with pens, pencils and notebooks for the children of Katunguru Primary School. That was the beginning of a long-term partnership that would until today. Over time, the Montessori School and the Katunguru Primary have exchanged drawings, run tree-planting projects, sponsored school uniforms, football equipment and music instruments among other things. The school has 5 teachers and over 100 pupils from first to seventh grade, but many children drop out in the higher grades to go work with their parents. The government has built a teacher’s house with latrines, but the school itself was in poor condition. Fontes Foundation has been constructing latrines, floors and water connections in the classrooms, but more support is needed to improve the condition of the teachers and the students to increase their motivation and performance. Fontes has been supporting the school financially for a few years. Of great achievement was the fact that, for the first time in the history of the school, students completed all seven years of primary school and passed the national exams. Fontes Foundation supports three nursery schools near the town of Kanungu – Mama Barbara’s Nursery School in Kajugangoma, Aunt Lucy’s Nursery School in Bushura and Valentine Nursery School in Kikondeka, for a total of more than 300 students. The schools are run by a committee of parents and teachers. Parents pay a small fee that goes towards the teachers’ salaries and provides the children with porridge every day. The committees are supervised by a Community Based Organisation called “Kanungu Kindergarten Nursery Schools Organisation”, registered and run according to the official procedures of the Ugandan government. The organisation received extensive training in project management, accounting and transparency measures and is responsible for the administrative and financial matters of all schools. The nursery schools are growing each year, showing an increased interest from parents. In addition, children from the nursery schools are getting excellent results in primary school, as well as at interviews for private schools. 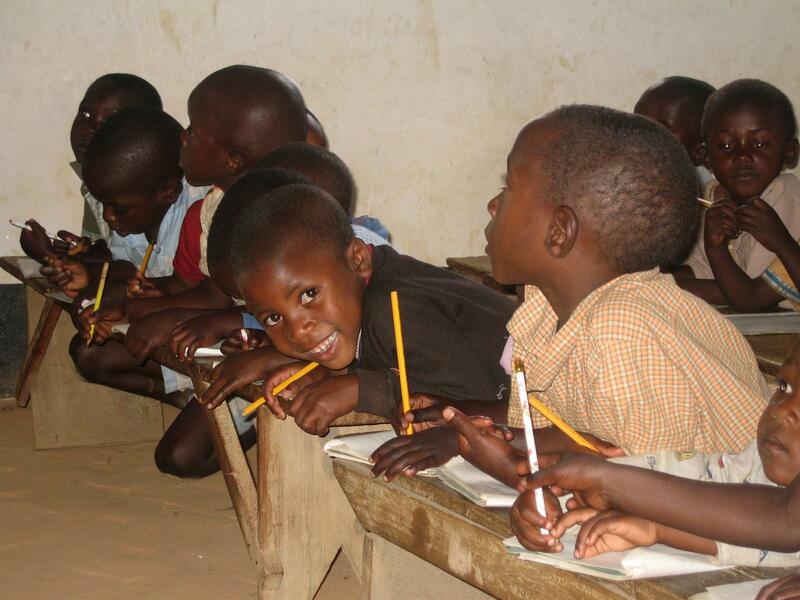 Support the Primary and Nursery Schools in Western Uganda. With $60 you could provide school uniforms to the entire school for three years.